2,195 people read this post. The Muslim is daily faced by a host of new problems and difficulties. Now and again, reports of untold oppression and barbarism against Muslims are received. Their lives, property and self-respect is trampled upon and worse than that, their religious matters are tampered and interfered with, their Masjids are under constant threat of being converted into temples and are disallowed proper implementation of their (Muslim) personal law. Despite this, the Muslim considers these to be chance occurrences or mere coincidences, thus never pausing to even consider the actual cause and reason behind this suffering. At the most, a few concerned souls, who are momentarily stirred by this state of affairs, call up some fancy conference, pass a few vague resolutions and disappear back into oblivion, contented that they have fulfilled their duties towards Islam. All these verses indicate that the chastisement of Allah is the direct result of our disobedience, ungratefulness, and transgression. On the other hand, if we are obedient and grateful, no punishment will overtake us. Proper appreciation of Allah’s bounties is the correct utilization of these favours. To utilize life, health, faculties of sight, hearing, feeling, thinking, locomotion, finances, status and position, all for the pleasure of Allah and in accordance with His commandments is true appreciation of Allah’s bounties. The anti-thesis of this is ungratefulness, which invites the wrath and displeasure of Allah. Adopting a life of taqwa (piety) i.e. fulfilling all the commands of the Shari’ah and abstaining from the prohibitions is the cause of blessings descending from the heavens. There are numerous verses and hadiths to this effect. Let us now examine our lifestyles. Salāt, which has been described as the criterion between Imān and Kufr (disbelief), how much does it feature in the life of the Muslims? How many are there who are punctual with their obligatory salāt? How many adhere to the other basic requirements of Islam such as fasting, zakat, and hajj? On the other hand, consider the prohibitions of Islam, those actions that the Shari’ah has declared harām and a source of Divine curses and harsh reprisals. How many Muslims are engrossed in these day and night? How many have adopted these as part of their lifestyle? Let us consider liquor for example. The Qur’an has repeatedly forbidden the intake of liquor. Rasulullah (Allah’s peace be upon him) has cursed anyone associated with liquor in anyway. He has cursed the consumer, the stockist, the manufacturer, the marketer, the buyer, the seller, the transporter, the receiver and those that derived any income from it. The Qur’an has declared the prohibition of interest. The Qur’an has equated the usage of interest tantamount to declaring war upon Allah and His Rasul (Allah’s peace be upon him). The hadith has classified interest as a conglomeration of 73 sins, the slightest of these being equal to fornicating with one’s own mother. One hadith warns that the consumer of interest will rise as a lunatic on the Day of Qiyamah. Another hadith warns that the part of the human body that was nourished by harām income, will not enter Jannah. One hadith states that the nation that has taken to fornication and interest should await the chastisement of Allah. Let us now consider how clear our dealings and transactions are! Interest forms an integral part of our business dealings. Worse than that, desperate attempts are being made to even legalize it (Islamically). Which of these sins are not the daily lifestyle of most Muslims today? It is no cause of surprise if we are now afflicted by various calamities. It is also reported in a hadith that fornication and adultery cause poverty. Many hadiths report curses upon the briber and the accepter of bribes and even upon the intermediary in such dealings. In one hadith, it is reported that the nation that breaks its promises will be involved in internal strife and conflicts. In one hadith it is reported that those accustomed to dealings in bribery will become greatly awe-struck and fearful (of everyone). It is reported in one hadith that the sin that is extremely swift in inviting the punishment of Allah is oppression and false oaths. This causes wealth to be destroyed and women to become barren, and annihilates entire populations (by high death rates). In one hadith it is reported that Allah withholds punishments until He desires, but disobedience to parents brings instant chastisement and the punishment is meted out before death even. In one hadith it is narrated: Remain chaste, your wives will also remain chaste; and be obedient towards your parents, your children will be obedient to you. In one hadith it is reported that Allah does not punish a whole community on the sins of a small group of people until these people transgress openly in front of such people who have the power of preventing them and yet do not do so. The punishment of Allah then overtakes all. The du’as of the pious will then be of no avail to anyone. It is due to overlooking such regulations that day-by-day we are observing greater calamities, disasters, destruction, violence, diseases, accidents involving planes, trains, ships, and cars. Now that the regulations of amr bi al-ma’rūf wa nahī ‘an al-munkar (enjoining right and forbidding evil) have been almost completely discarded, there is no hope of even acceptance of our du’as. It is reported in one hadith: Do not oppress, or else your du’as will be rejected. In one hadith it is narrated that Allah grants respite to the oppressor; but when He seizes him, he cannot escape punishment. In one narration it comes that the du’a of the oppressed is accepted even though he be a sinner or even a disbeliever. In another hadith: He who does not show mercy upon the creation, Allah will not show mercy upon him. Once the Banu Isrā’īl were terribly afflicted by famine for seven years. They eventually began to consume the meat of dead animals and finally human corpses. Out of sheer desperation they climbed upon mountain tops and cried out in anguish. Allah (SWT) revealed to one of their Prophets that had they raised their hands right into the sky and had their tongues dried out, I will not accept their du’as until they do not return the rights of the oppressed amongst them. Let us now consider the present condition of oppression throughout the world and understand the extent of Allah’s displeasure with us. It is reported in one hadith that charity does not decrease wealth, forgiveness increases ones respect, and begging opens the door of poverty. It is reported in one hadith: When my ummah will despise their Ulema, be extravagant in beautifying their businesses, and will consider marriage proposals on the basis of wealth, then Allah will afflict them with four punishments: drought, oppression, misappropriation of their wealth by their leaders and enemy attacks. Hadrat Ali (may Allah’s be pleased with him) reports that the worldly chastisements for committing sins are lethargy in worship, restriction in sustenance, and decrease in pleasure. Hadrat Anas (may Allah’s be pleased with him) reports that Rasulullah (Allah’s peace be upon him) said: Be meticulous in performing wudū (with all it’s etiquettes), your lifespan will increase and your protecting angels will love you; observe your (nafl) prayers in your home, it will enhance the blessings of your home; and make salām to your family when you enter your home, the blessings of it will permeate you and your family. As we constantly complain about “hard times” and poverty, have we ever pondered on what Allah (SWT) has to say: O son of Adam! Free yourself for My ibadah, I will fill your heart with contentment and independence, and I will remove your poverty. If you do not do so, I will engross you in your occupations and (yet) I will not remove your poverty. In one hadith it is narrated: If my servants obey me dutifully, I will send rain at night and sunshine during the day (that they be not frightened by the lightning and thunder). How cruel have we been upon ourselves that due to our sins we are constantly involving ourselves in disasters and calamities? At the same time, we continuously lament and wail away at our pathetic condition. Our example is like that of a person suffering from diarrhea and yet continues to take laxatives, complaining all the time of diarrhea. What could be said to such a fool? In a similar way, today we complain about the oppression of our leaders, whereas these leaders have been appointed over us due to our transgressions. The only salvation from them is through tawbah and perfect obedience to Allah’s commands. Rasulullah (Allah’s peace be upon him) said: Just as you (i.e. your actions) are, so will your rulers be. I am Allah, there is no deity besides Me, I am the King of Kings and the Master of Kings, the heart of Kings are within My control. When My servants are obedient to me, I make their rulers kind-hearted towards them. When they disobey Me, I turn their rulers against them with anger and tyranny, they then oppress them severely. Therefore, instead of cursing them, turn towards me in remembrance and submission, I will protect you against their tyranny. There are various views to this verse. Imam A`mash’s view is that when people’s actions become corrupt, then Allah appoints the most oppressive people as leaders over them. In one hadith it is reported: When Allah desires the felicity of a nation, He makes the tolerant amongst them their leaders, the Ulama their arbitrators, and the generous their wealthy. And on the other hand, when He desires the torment of a nation, He appoints their foolish as their leaders, the ignorant as arbitrators, and the miserly as their wealthy. In one hadith it is reported: Do not engross yourselves in cursing and abusing your rulers. In fact you should gain the proximity of Allah (through obedience) and make du’a on their behalf, Allah will turn their hearts towards you in mercy and kindness. A pious person once overheard someone cursing Hajjāj (the notorious tyrant). He prevented him from this, saying: Whatever is happening is the result of your own actions. I fear that if Hajjāj is deposed or expires, monkeys and swine be made rulers over you. It is a popular adage: “Your actions are your rulers.” In other words, [based upon] your actions will your rulers treat you. If the prince is rebellious, the king will appoint an ordinary citizen to whip him. The prince will be totally helpless to take any action against him, because he is backed by the king. His salvation is only in entreating the king for mercy and apologizing to him. Now, let alone an ordinary citizen, not even a high-ranking minister or official has the right to touch the prince. This is the example of the Muslim ummah. If we are disobedient to Allah, He appoints the weakest of nations upon us. They torture and oppress us most mercilessly. Our only salvation is by turning to Allah in sincere regret and repentance. Then no nation – not even the so called superpowers – will have the courage to stare at us! Time and again, we are crushed by disasters and calamities. Our laments, complaints, and wailing never end. Yet, when our shortcomings are pointed out to us, we remain totally indifferent and heedless. Never have we even attempted to bring about any reform within ourselves. Never have we attempted to avoid those destructive sins and crimes that are the direct sources of our misery and suffering. It is most astonishing that when an ordinary doctor warns of some epidemic, we are hasty to inoculate ourselves; when an ordinary laborer warns about the presence of a poisonous snake in the vicinity, not even the bravest person will venture in that direction. 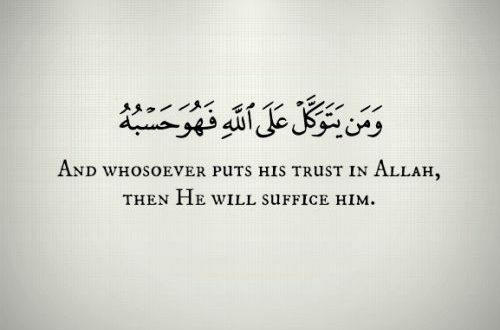 Yet, when Allah and His Rasul (Allah’s peace be upon him) are consistently guiding us towards our success and warning us against our destruction (with the greatest of concern and sincerity) we remain totally unmoved and heedless, and we plunge headlong into those very pitfalls of destruction. Our only road to success and glory is total obedience to Allah and His Rasul (Allah’s peace be upon him) and following step-by-step the path treaded by our pious predecessors. History proves that this is how the Muslim will attain victory and glory over the world. This is how the Muslims of yonder, despite being in the minority, conquered city after city, country after country, and ruled the world over centuries. Then not only did they rule over land and people; they even ruled over animals and the elements of nature. Hardly was this announcement completed that streams of deadly animals, herding away their young ones, were seen exiting the jungle as swiftly as possibly. A Sahabi, Hadrat Safīnah (may Allah’s be pleased with him), once lost his way and strayed away into a jungle. Suddenly a lion appeared. He introduced himself to the lion and explained his plight to it. Waging its tail like a subdued puppy, the lion led the way for him, growling away any would-be attackers, and finally led him to a clearing where an army of the Sahabah (may Allah’s be pleased with him) was encamped. Similar is the incident of Hadrat Ala bin Hadhrami who crossed the sea with an army of four thousand soldiers. Such was their crossing that not even the hooves of the horses became wet. Yet a slight error from even the Sahabah led to difficulties and suffering. The battle of Uhud is a classical example. A winning battle almost resulted in defeat merely because a few Sahabah erred in carrying out the instructions of Rasulullah (Allah’s peace be upon him) to the letter. In the battle of Hunayn, a boastful remark by some soldiers resulted in severe setback for the Muslims. Through the graces of Allah, they were ultimately victorious. In the battle against the murtads (renegades) of the Bani Hanifah, a chance remark by Hadrat Khalid (may Allah’s be pleased with him) almost turned the tables, and the Muslims had to put up with most formidable resistance. At times, discarding a sunnah resulted in the frustrating delay of victory. The Sahabah constantly feared any violation of the Shari’ah, realizing that this produced adverse effects on their victory and success. For this reason, the Khalīfa always emphasized upon them the importance of the teachings of the Shari’ah. Rasulullah (Allah’s peace be upon him) at the time of hardship and crisis, used to immediately resort to salāt. Hadrat Abu Darda (may Allah’s be pleased with him) reports that when a strong wind used to blow, Rasulullah (Allah’s peace be upon him) would enter the Masjid and resort to salāt until the storm subsided. Many Sahabah report similar narrations of his hastening towards salāt at times of calamity, fear, or darkness. One Sahabi reports that this was the habit of all the previous Prophets and the majority of the Sahabah. History is replete with incidents of the destruction of the oppressor and the alleviation of the oppressed. Did Allah not disgrace Namrūd at the hands of his populace and destroy him through an insignificant mosquito? Did He not protect His friend, Hadrat Ibrahim (peace be upon him) from the blazing inferno and convert it into a garden of bliss? Thus Allah assists the oppressed and destroys the oppressors. Did Allah not crush the proud and mighty Pharoah and elevate the oppressed and down-trodden Bani Isrā’īl? Did Allah not humble and subjugate the proud and haughty Meccans that forced His beloved and his companions out of their birthplaces? Did He not bring the day of glorious victory at the conquest of Makkah when the arch-enemy was running helter-skelter out of terror, begging for mercy and compassion? On the other, the ungrateful citizens of Iraq constantly harassed their just and compassionate rulers. As a result, Allah appointed Hajjāj bin Yusuf over them whose tyranny, cruelty, and harshness knew no bounds. History bears ample testimony to the fact that so long as the Muslims continued to uphold the Qur’an and hadith in their daily lives, countries – nay, empires crumbled at their feet. Small bands of devout Muslims were sufficient to awestruck and demolish mighty forces. Emperors of superpowers trembled at the mere thought of the Muslims. Yet these very victors of mighty empires, when they succumbed to comforts and luxuries, discarded the Qur’an and hadith, resorted to oppression and cruelty of their subjugates, became power-drunk and arrogant and indulged openly in wine and women, fell from the glorious pinnacles of civilization and progress into the abyss of disgrace and stagnation. “Prepare yourselves and attack! We will assist you.” The non-Muslims made a sudden and a most terrific onslaught upon the Muslims. So terrible was the result of the carnage that only 600,000 survived out of a total of 2 million. 1.4 million were massacred in no time. One non-Muslim single handedly slaughtered a contingent of 150 fully armed Muslim soldiers. A non-Muslim woman killed 50 Muslim soldiers all on her own. This was in revenge for the years of oppression they were made to suffer. Allah turned the tables and granted victory to the down trodden nation of the oppressed, for verily He is Rabb al-‘Ālamīn, The Lord of the Universe – not only of the Muslims. The non-Muslims are also His creation and subjects. People laughed him off and swept aside his entreating most disdainfully as the raving and ranting of a mad “mullah”! Eventually, the dreaded disaster dawned. The enemy attacked and overnight, thousands were massacred. The streets of Delhi were a ghastly sight. Human corpses lined the streets and “rivers of blood flowed down the streets of Delhi.” Other corpses were dumped into the Jamna River (a massive river of India) that resulted in a blockage of the water flow (imagine the number of bodies to cause such an obstruction). The entire river water turned red with human blood. This is the tragic but true tale of the Muslims of India. With great regret and sorrow it has to be noted that despite all these upheavals, the Muslim nation continues to slumber away. Never have they taken lesson from their past and never have they formulated a directive and a goal for the future. Never have we pondered over the vicissitudes of life, the daily lessons of the change of tides in the affairs of the world. Despite being totally insignificant in the affairs of the world and in the eyes of non-Muslims, we continue to labor away in this false sense of pride that we once ruled the world. The Muslims continue to lead a sedentary existence of listlessness, heedlessness, indulgence in luxuries and pleasures, false pride and vain glory, sin, crime and transgression, oppression and exploitation, ignorance in trade, commerce, science and technology. On the other hand they are involved in mutual hatred, enmity, racism, discrimination, embroiled against each other in court cases and lawsuits. Their ignorance of religion compels them to uphold meaningless customs and rituals; and competing against each other in these, they spend lavishly and large sums of money, involving themselves at times in massive debts accompanied by hefty percentages of interest. Ultimately they have to sell hearth and home to alleviate these crushing financial disasters and land up as penniless paupers on the side of streets. Due to lethargy and indolence they are not prepared to undertake labor or any menial occupations and finally end up as the scum and scavengers of society: abject beggars at the doors of all and sundry. What a dismal picture! When will we awake? Every Muslim, male and female, must immediately resolve to at least fulfill the basic requirements of Islam, salāt in particular. A massive educational program to be specially launched on an organized basis with emphasis on religious education and education of adults. Basing our social life on the sunnah and our economical activities solely on the laws of the Shari’ah. Total abstention from mutual conflicts and in-fighting. In case of contention, to amicably solve any problems through proper arbitration. Encouragement of business, trade, and skills. Dissociation from all customs and rituals at the time of birth, marriages, funerals, and other occasions. Particular emphasis on cleanliness, tidiness, health education, and physical fitness. May Allah grant all Muslims the good of both the worlds. The original article’s listing of the 15 traits was replaced by the actual hadith from Tirmidhi in which the 15 traits are reported. Next Does my skin colour make me unworthy of your Salaam?